Last month, I battled rush hour traffic at the speed of a walking toddler (alright, maybe more like a running toddler but you get the idea) up to Los Angeles for the California Senior Center Stakeholder Forum. 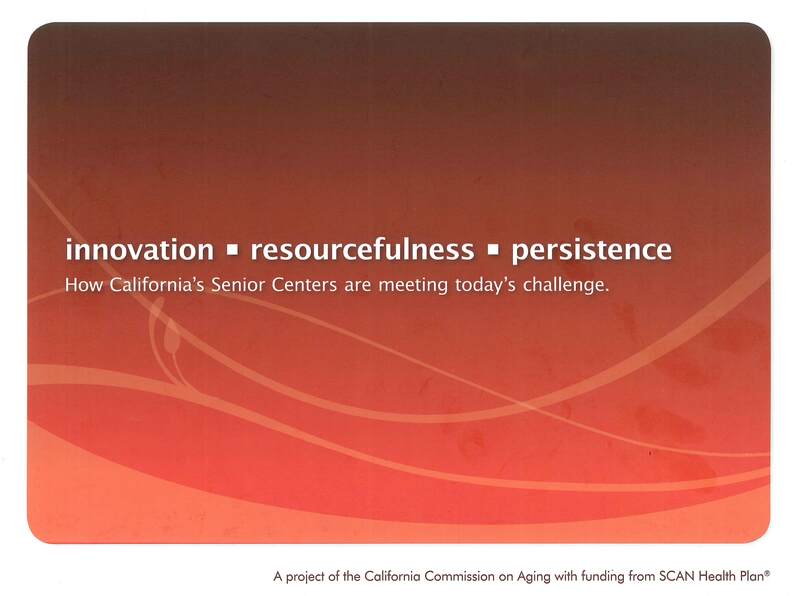 Participants were given booklets put together by California Commission on Aging. 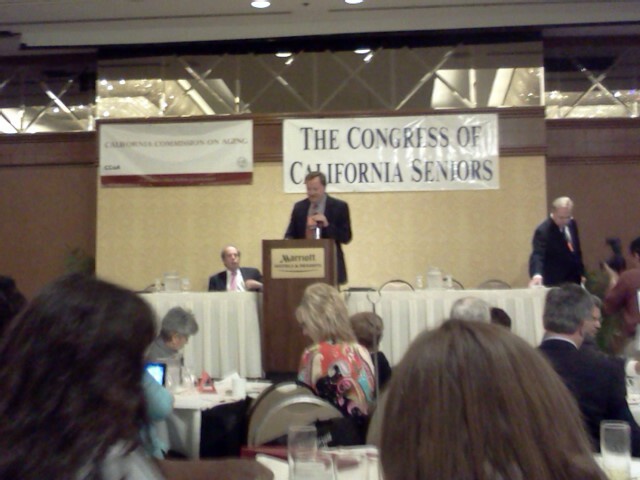 Senior Community Centers is recognized twice. First for our collaborative model of care at the Gary and Mary West Senior Wellness Center; secondly, for building a successful model of civic engagement. A first among low-income seniors. I’m extremely proud to be part of this organization as we continue to work to meet the needs of low-income seniors. In addition to my moderation duties, we participated as panelists on advocacy and fundraising sessions. In our political climate, these two topics are vital the our ability to serve seniors. Tomorrow, the US Census releases information specific to older adults. Stay tuned because I’ll be sharing my thoughts about it in a special vlog post tomorrow. Materials from breakout sessions for advocacy and fundraising (along with the other topics) will be shared on CCoA’s website. Joseph Gavin moved from Chicago to attend San Diego State University. He’s pursuing a master’s degree in Gerontology and is a former West Scholar. Last month he joined SCC as an outreach case manager. In looking back on my year, I find the source of many pleasant recollections is my eleven months at Senior Community Centers. I’ve engaged with the efforts of the organization on multiple levels. As a volunteer on a farmer’s market trip, in the home-delivered meals and advocacy programs as a student-intern; and now employed as a part-time outreach case manager, I see the importance of the work that SCC does. Each one of these experiences provide me with a variety of rewards, but none greater than the relationships formed with the seniors and staff alike who give me far more than I return to them. 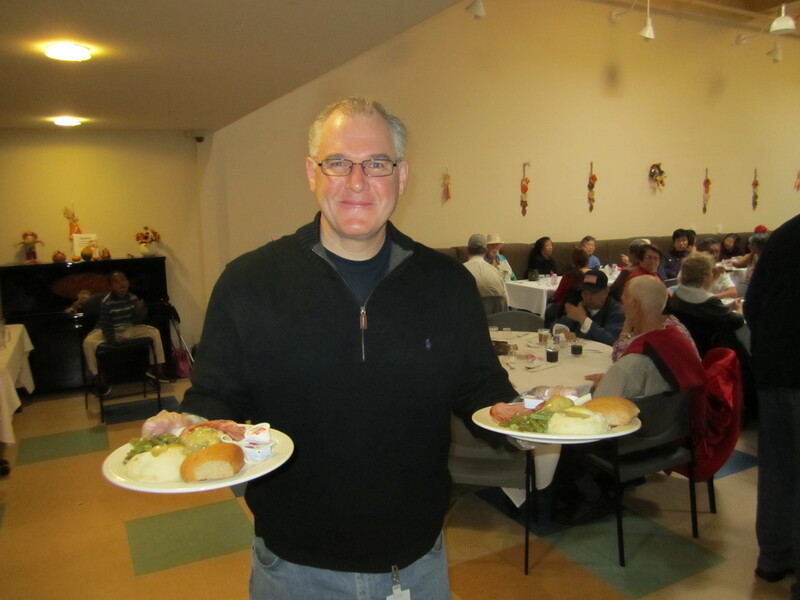 It’s a bountiful year for me.I can think of no better way to express my humble thanks than to participate in the serving of the Thanksgiving meal. Volunteering on this day allows me to share in the community spirit that is part of the fabric of the organization. This connection to the importance of work done on behalf of others will serve to bring me closer to my family, especially my mother and father. Though we will be separated by many miles on this day, volunteering to serve seniors brings to life the values and principles they worked so hard to instill in me. It will make it feel as though they are right here with me. Each one of us takes away something different from a volunteer experience; for me it is the physical expression of honor and respect to those who aided and guided me, taught and cared for me. Whatever your idea of personal reward for volunteer work may be, I am confident you can find a chance to uncover it here at the Gary and Mary West Senior Wellness Center. Happy Thanksgiving to all. Let’s just say, we’re profoundly disappointed in the committee’s inability to work together on behalf of America.